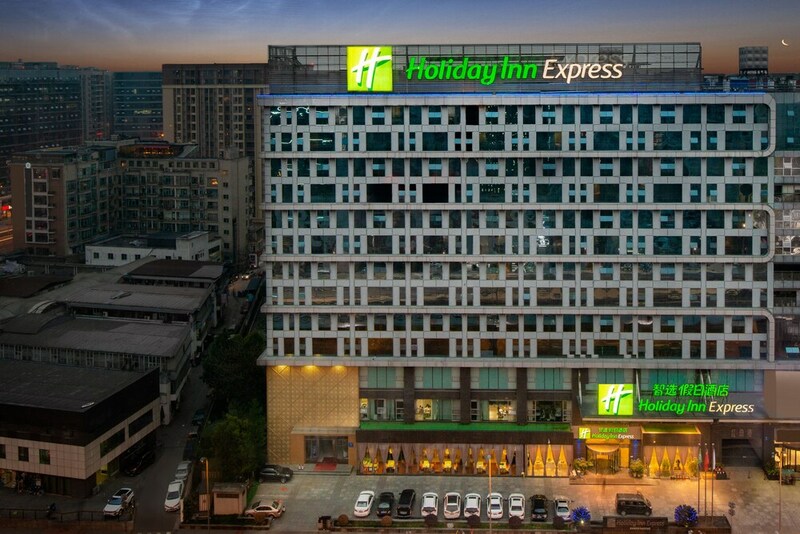 Located in Wuhou, this hotel is within 3 mi (5 km) of Wuhou Ci, Du Fu Caotang, and People's Park. Wide and Narrow Street is 2.9 mi (4.7 km) away. This hotel features a restaurant, a bar/lounge, and a 24-hour business center. Free WiFi in public areas and free self parking are also provided. Additionally, dry cleaning, laundry facilities, and express check-in are onsite. All 269 rooms feature thoughtful touches like bathrobes and slippers, plus free WiFi, free wired Internet, and LCD TVs with cable channels. Room service, coffee makers, and free newspapers are among the other amenities available to guests. Wireless Internet access is complimentary. This business-friendly hotel also offers tour/ticket assistance, multilingual staff, and gift shops/newsstands. Complimentary self parking is available on site. Holiday Inn Express Chengdu Wuhou has a restaurant on site.